The overall goal of the study is to pilot the Kyrgyz Mountains Environmental Education and Citizen Science (KMEECS) project and to provide a thorough analysis of all involved stakeholders (embedded in their institutional setting) and their interests in adopting Open and Collaborative Science (OCS) approaches. The learning outcomes reached through the project will also be mapped and documented. Objective 1) Generate locally relevant environmental data on high mountain socio-ecological systems using a citizen science approach, involving students and teachers in pilot schools of Naryn, Kyrgyzstan. Objective 2) Contribute to improving environmental education and awareness about the local environment in rural Kyrgyz schools. Objective 3) Improve the access to environmental knowledge and information in marginalized mountain regions of Kyrgyzstan. Objective 4) Reflect, analyse and document the implementation process with a particular focus on the stakeholders, their roles, motivations, interactions, impacts and learning outcomes. Objective 5) Promote innovative, participatory and open research principles in Kyrgyzstan. The combination of Citizen Science and education is not new in scientific literature, but to date it has not been researched extensively in countries of the global south and even less in high altitude and remote rural areas of Central Asia. Although environmental analyses abound for Central Asia in general, there is almost no data available at the local level or that differentiates between ecosystems and altitude levels within the highly diverse Central Asian ecological landscape. Additionally, in order to confront a poor understanding of environmental challenges and awareness of opportunities for change, it is instrumental to introduce locally embedded environmental education to the young generation who will prove primarily responsible for coping with and adapting to a rapidly changing environment (Gareeva & Maselli, 2008; Schuler et al., 2004; Mestre et al., 2013; UNDP, 2006). While analyses on climate change conclude that Central Asia is exposed to one of the highest rates of adverse effects of climate change (Christensen et al., 2007; Bizikova, Hove, Parry et al. 2011), additional challenges have arisen due to decades of mismanagement of natural resources. This includes the overgrazing of pastures, inefficient water and energy management, degradation of soils due to unsustainable agricultural practices, uncontrolled mining, loss of biodiversity and increasing conflicts over natural resources (Gareeva & Maselli, 2008; Schuler et al., 2004; Mestre et al., 2013; UNDP, 2006). 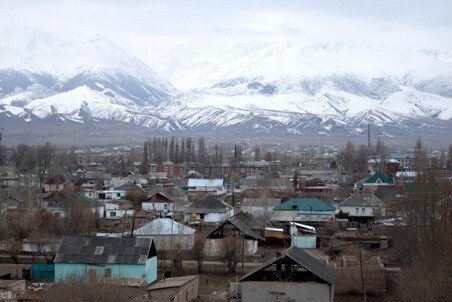 Over half of the Kyrgyz Republic’s GDP is derived from climate and weather-sensitive activities, making the country highly vulnerable to adverse impacts of climate change and in particular decreased water supply, increase in frequency and intensity of extreme weather events and threats to ecosystems, livelihoods and health of the local populations (World Bank, 2011). Understanding and observing these dynamics is therefore instrumental to supporting Kyrgyzstan’s adaptation strategies (Buytaert et al., 2014). This project will attempt to generate local-level data for understanding changing environmental dynamics through the observation of phenology and/or water monitoring. What are the obstacles to the introduction of a citizen science approach to generate data about the local environment in mountain communities of Kyrgyzstan as a new method of environmental education in schools? The KMEECS project is implemented as a case study and employs participatory action research (PAR) methods combined with a stakeholder analysis. PAR is an approach based on the principles that research and action should be done in collaboration with concerned stakeholders, in a joint effort to meaningfully transform practices, rather than researching only by observing and studying communities. As part of the project methodology, 30 schools out of 122 in the Naryn province applied to participate in jointly developing a curriculum and resources for citizen science activities on water monitoring. After the Participatory Curriculum Development (PCD) process and teacher training, implementation and data collection in schools will be monitored. The collected data will be included into existing as well as project/partner created data pools and geographic visualization. Participatory action research is also meant to involve (ideally several) feedback loops of self-reflection. As such, this project will include a planning phase, an action and observation phase, and a reflection phase, which will end up in a re-evaluation of the process and outputs with the aim to improve the citizen science and environmental education activities based on the working group’s and student’s feedback and reflection. Scientific research is perceived as a task only suitable for trained scientists: The capacity of local stakeholders – and even more children – to conduct scientific investigations is often smiled at, particularly when talking to “real” scientists. Therefore, a discussion on the potential of citizen science and open science didn’t lead to meaningful results within national-level academia. With our local-level stakeholders from rural schools, the picture was much different. They reacted similarly in the beginning, but after the second meeting, they were convinced that they are in fact real specialists when it comes to their local environment. Low governmental capacities for water monitoring, high expectations on monitoring results from community partners: The working group decided to focus on water monitoring, and one of the reasons for this choice was that the government is not conducting any monitoring on the local level. This led to high expectations among teachers and students, that they would be able to fill this gap, particularly on water quality measurements. Some analyses are however too complex to be conducted outside professional laboratories (and some cannot be conducted in Kyrgyzstan at all), although the results would be relevant for some communities (e.g. heavy metals and bacterial contamination). Lack of equipment for hands-on teaching and environmental monitoring in rural communities: During the situation analyses in the schools it became clear that even simple equipment for engaging students in practical exercises at school. So when discussing experiments and tools, we decided to focus on the most simple activities concerning equipment, so that nothing would be required which cannot be either found in the village or supplied by the project. A further challenge was also to purchase all the necessary ingredients for the analyses in Kyrgyzstan, as ordering the equipment from abroad makes it impossible for school to access such resources after the project. Low digital literacy: In some schools there are no computers available, which led to the fear of some participants that they might not be able to learn how to use information technologies. We considered skipping any use of mobile and computer technologies, but at the same time it appeared that everyone was rather keen on learning and getting engaged with ICT after overcoming an initial fear. Culture of restricted information flow, mistrust and bureaucratic regulations originating in the Soviet era prevents the deployment of a culture of openness in Kyrgyzstan: Openness is not perceived as a necessarily positive trend in Central Asia in view of its historical background. Projects are starting to appear, and networks emerge, where our project is also involved. Although new to most stakeholders and partners of the project, open science and citizen science coupled with environmental education has so far received much positive feedback and interest in Kyrgyzstan. While scientists do not see much value in data that will be gathered by project participants due to a lack of trust in data quality, there is a high interest in the educational value of citizen science activities in rural schools. The 16 teachers participating in the development and implementation of citizen science activities were selected based on motivation letters, which is an unusual procedure. It has however been highly effective, considering the motivation and engagement of the participants. The involved students also participated actively during meetings and workshops, particularly girls. 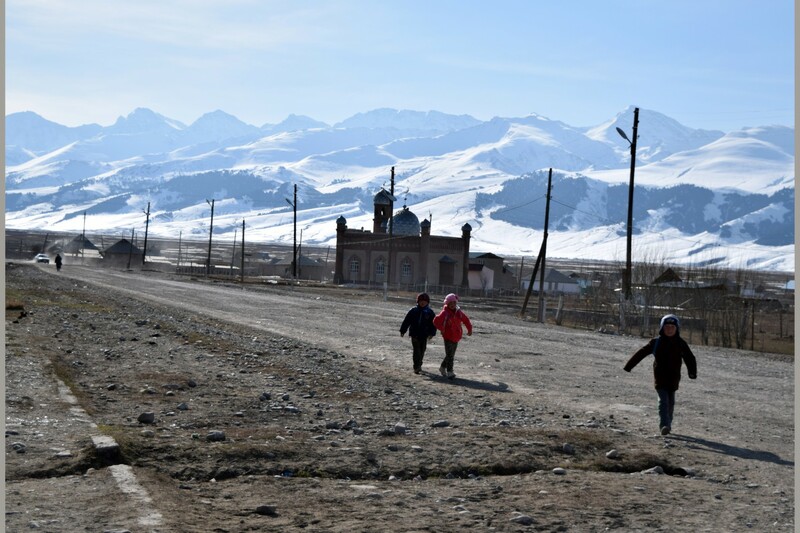 Although there are many disparities concerning gender in Kyrgyzstan, engagement in a citizen science project does not show a gender bias, neither for the participation of teachers, nor students. Open Science is still new, but burgeoning in Kyrgyzstan. Our project can be seen as a pilot project, testing the implementation of several concepts related to open science on a small scale in a rural area of Kyrgyzstan. Citizen Science and citizen participation in research, the potential of open hardware, projects such as OpenStreetMap, as well as open access to information are being brought up in networks, think tanks and meetings.